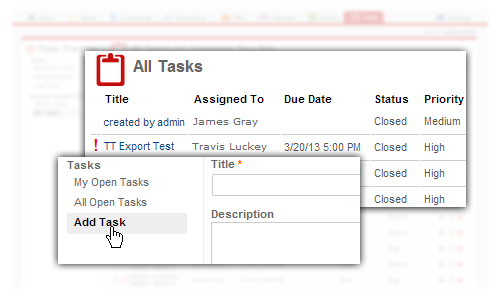 Causeway's intuitive action item tracking allows users to create and assign tasks, track progress, and automatically notify others when tasks are marked as complete. Chairs and team leads who wish to keep an eye on other committee members' action items can subscribe to their tasks and receive automated emails whenever the tasks' status is updated. Tasks can be grouped into projects, allowing Causeway to serve as a lightweight project management tool for planning events such as conferences and members meetings. Tasks can easily be exported to Microsoft Excel/CSV files that can be accessed and manipulated offline while on a flight or at an event.